NES Trojan (USA) in 06:14.33 by MESHUGGAH. Nintendo games are generally hard games to play, but that doesn't mean they are hard games to play around with. 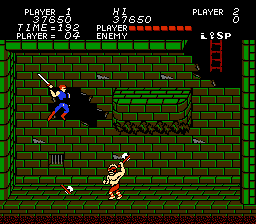 In fact, this TAS makes Trojan look easy, having the player character destroy an entire army with a single sword. Then again, aren't main characters usually intended to be all-powerful? This is a 144 frame improvement over its predecessor through better luck manipulation and optimization.